Seattle Has the Most Competitive Housing Market in the U.S. It's tied with San Jose and Fremont, California, atop Redfin's latest list. 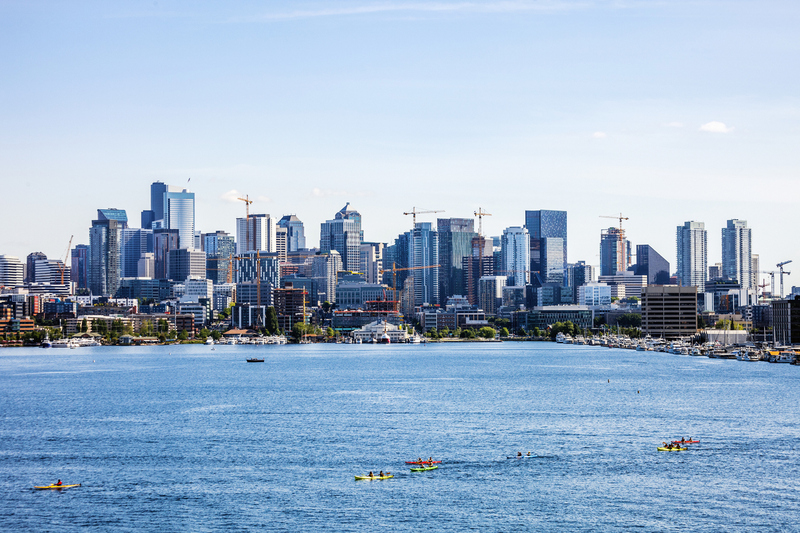 Plus: Three Seattle neighborhoods are ranked as the most competitive in the country. Fremont and San Jose, California, and Seattle are the most competitive U.S. cities for homebuyers. This is according to a ranking based on Redfin Compete Score, a newly launched feature that rates housing competition in cities and neighborhoods to help buyers understand what it takes to win a home and to help sellers create a smart listing strategy. Like Redfin’s Walk ScoreⓇ, Compete Score ranges from 0 to 100, with 100 being the most competitive. Most Competitive Cities in the U.S.
Because Redfin has a customer database that is used by every agent for every customer at every step of buying or selling a home, Compete Score is calculated using data that no other brokerage or website has. Compete Score is calculated using Redfin proprietary data, including the number of competing offers and number of waived contingencies for homes sold by Redfin, as well as data from multiple listing services (MLSs), including the sale-to-list price ratio and number of days on market. Compete Score data will be updated monthly, and the latest data can be found and downloaded in the Redfin Data Center. We’ll use Compete Score to track competition over time to compare competition in different neighborhoods and cities. Least Competitive Cities in the U.S. Looking just at neighborhoods with at least 25 home sales in the past three months, more than 100 neighborhoods nationwide have a Compete Score of 97 or higher, and six have a Compete Score of 100. The vast majority are in the Seattle and San Francisco Bay areas, with the exception of three in Boston–East Arlington (100), Jamaica Central-South Sumner (98) and Arlington Center (98). Below are the six most competitive neighborhoods, all with Compete Score ratings of 100. Among neighborhoods that had at least 25 home sales in the past three months, 65 neighborhoods nationwide have a Compete Score of 10 or lower. Most of the least competitive neighborhoods can be found in South Florida and Hawaii. Outside of those tropical locations, the nation’s least competitive neighborhoods include destinations like the French Quarter in New Orleans (4), South of Broad (8) in Charleston and Arcadian Shores(8) in Myrtle Beach, S.C., as well as Lower Chelsea (6) in Atlantic City and Downtown Ocean City (8), N.J. Least Competitive Neighborhoods in the U.S. Curious about the level of competition in your area? Search for your city or neighborhood in the charts below. For the most up-to-date information, search for your desired area on Redfin.com and the Compete Score for that area will appear at the top of the Home Values page. Compete Score rates how difficult it is to win a home in an area. Using a combination of proprietary Redfin data and data from the multiple listing services (MLS), Compete Score is primarily calculated based on four inputs: number of competing offers, waived contingencies, sale to list ratio, and number of days on market. Click here to learn more about how Compete Score works. The rankings for most and least competitive cities in the U.S. include cities with populations of at least 200,000 for which Redfin has Compete Score data. The rankings for most and least competitive neighborhoods include neighborhoods with at least 25 sales in the last three months for which Redfin has Compete Score data. We offer a Compete Score for almost all cities and neighborhoods where Redfin offers service and that had at least 25 homes sold within the last 12 months. We chose this threshold to maintain our accuracy levels. We also exclude areas where MLS rules prohibit us from displaying the sold price, since we are unable to use it to calculate Compete Score. *One exception is that we do not have the Compete Score in New York City due to the prevalence of listings that are not listed in the MLS.